This room is bringing all the delightful spring feels. 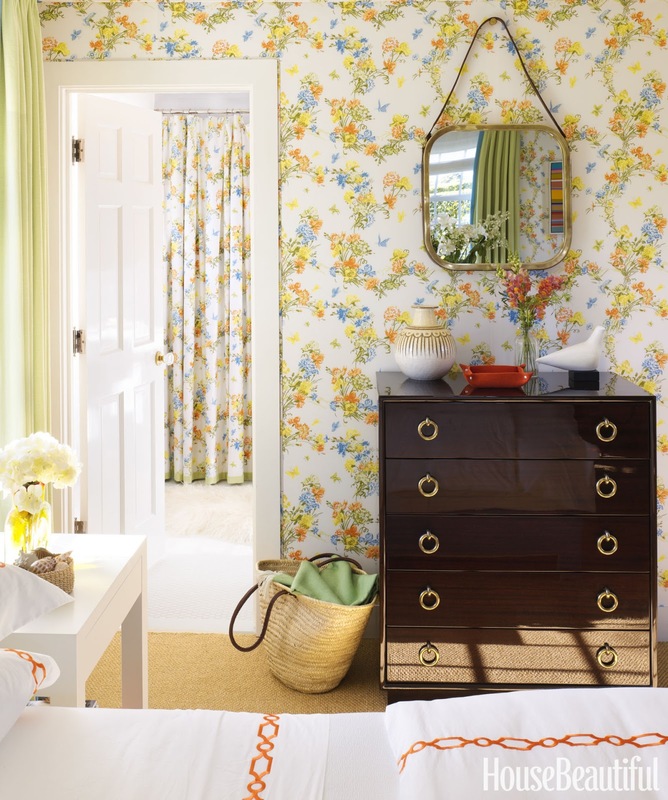 Designed by Gary McBournie and located in Nantucket this whole home is AWASH in color, though this bedroom keeps things tailored. Especially with a delicate use of orange. Do you agree that when we see orange spaces, the orange is usually coming at you like a freight train? It's a pretty bold hue, often used boldly. But here, it's sweet and lovely. And I'm v into the upholstered walls with matching shower curtain with accents of light spring green. So well done. Glad you're back...missed your posts!